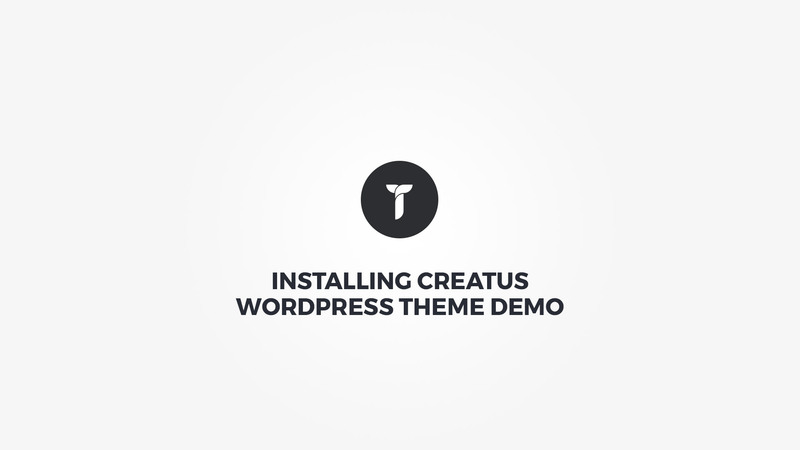 Instructions on how to replicate Creatus Theme demos as you see them on our demo website. Few images that we have used in our demo have been purchased from stock photo websites like Shutterstock. Due to copyright restrictions we do not have legal rights to distribute those images. We can only use them on our live demo installations, thus we are forced to blur them out or replace them before we deliver the demo to you. However you can find similar or more suitable images on Unsplash. As you can see from the steps above that the process is detailed thus it might take longer to proceed. The longest process is Image sizes restore and its speed depends on the amount of images used in demo and your server speed. 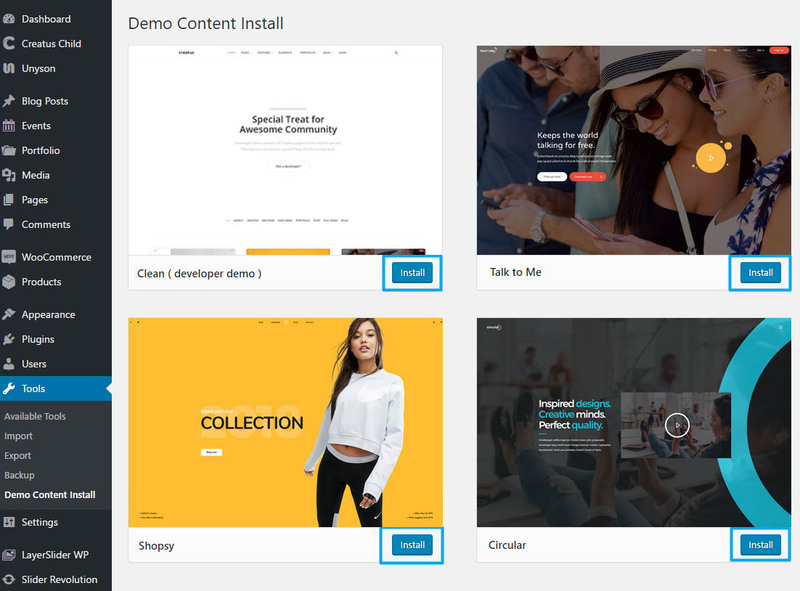 Our biggest demos are Clean and Creatus because we have used many images ( 400+ ) to display all available theme features for you. So we ask of you to have patience and wait for the process to be finished. 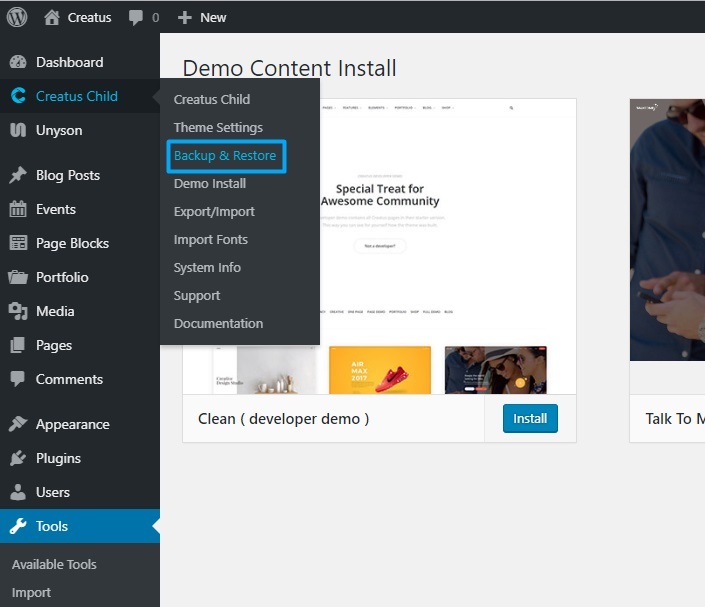 In WordPress Admin area side menu go to Creatus > Demo install. Select your desired demo and click on Install button. After successful installation your will be redirected to your new demo homepage. Please note that the demo installation will replace all your current installation content. However you can always revert back by restoring the backup. 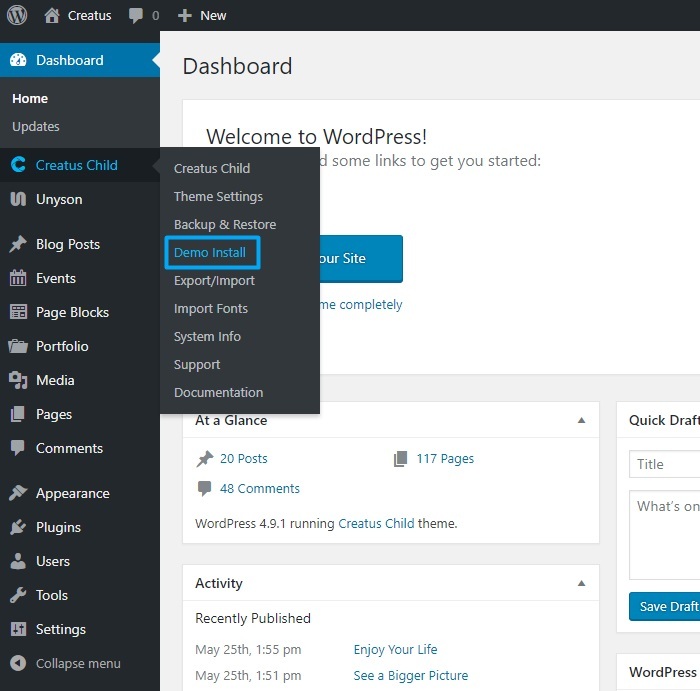 To restore backup in WordPress Admin area side menu go to Creatus > Backup and restore. 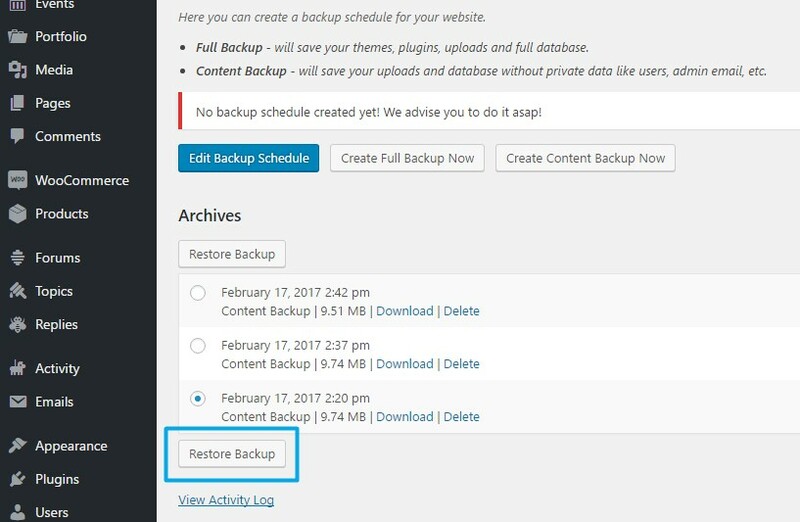 Select the backup you wish to restore and click on Restore Backup button.